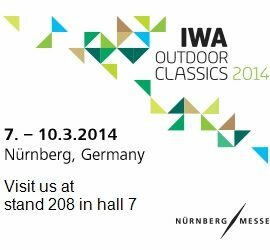 At IWA exhibition commencing 7th of March 2014 at Hall 7 Stand 208 will be introduced the new PEL-4 TURBO. A power house of perfomance (900 lumens). Rechargeable, Dual digital switch + Digital display to read accurately the remaining power of your flashlight.